The journey to Rogers was a long one for the new Motorola Moto E 4G LTE model that was revealed back in late February, but we are happy to announce it is now available on the Rogers network in an effort to bolster their entry-level phone offerings. It will cost you nothing on a two-year contract or $149.99 to purchase it outright. The device came in basic black to TELUS and Videotron back in March – TELUS is offering it as a prepaid model for $150 and over at Videotron, you can purchase it outright for $199.95 or $49.95 on their BASE plan of $31.95 or free if you go on their BASE $41.95 plan. It is also available on Koodo, Chatr, Wind Mobile and MTS and will be launching at Rogers on July 15th. The Moto E 4G LTE is a great entry-level device that features a 4.5-inch qHD IPS LCD display with a resolution of 960×540 pixels and 245 pixels-per-inch (PPI). Powering the device is a Qualcomm Snapdragon 410 quad-core processor clocked at 1.2GHz and an Adreno 306 GPU for graphics. This is quite an improvement over the 3G model that uses a Qualcomm Snapdragon 200 quad-core processor also clocked at 1.2GHz and with an Adreno 302 GPU. It packs 1GB of RAM and 8GB of storage, although Motorola has included a microSD card slot for up to 32GB of additional storage. A 2390mAh battery provides enough power to get you through a full day. The main camera uses a 5MP sensor with autofocus and an f/ 2.2 aperture. Motorola also offers a decent software package for the camera with Quick Capture, Tap anywhere to capture, 4X digital zoom, slow motion video, burst mode, auto HDR, Panorama and Touch to focus. The front-facing camera (FFC) is a VGA model for social media selfies at best. It comes with the usual Wi-Fi, Bluetooth 4.0 LE, microUSB port for charging and data transfer, but no NFC. It has a single micro SIM card slot, 3.5mm headphone jack, 2 microphones, a loudspeaker, GPS, two Accelerometers, Ambient light sensor, Proximity sensor and sensor hub. It measures 129.9 x 66.8 x 5.2-12.3mm (based on the curve) and weighs in at 145 grams. For the price range, it is a very good buy and you can check out why in our review. 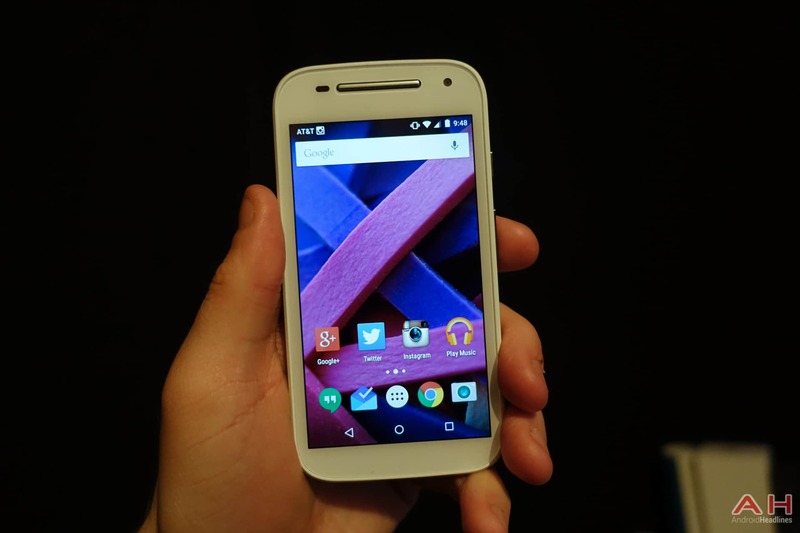 The post Rogers Adds Moto E LTE To Boost Entry-Level Devices appeared first on AndroidHeadlines.com |.